Many of us will be spending time at the beach this summer whether traveling or sticking close to home. 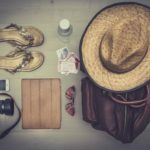 Not sure what to pack for a day at the beach? 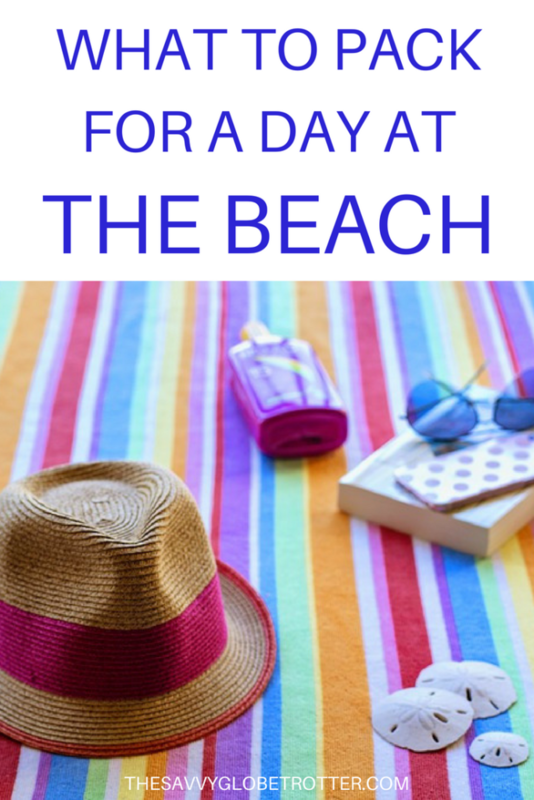 To make sure you don’t forget anything and have a great day at the beach, I have put together a beach vacation packing list with all the beach essentials you need. • Beach bag – A cute beach bag is a must for carrying your beach essentials! • Sunglasses – Sunglasses are essential for the beach or most days really. Darker pairs offer the best UV protection. • Hat – A hat is a must for sun protection. A floppy hat is cute and stylish option for women. Coolibar hats have excellent sun protection for both men and women. • Sunscreen – Don’t forget to bring sunscreen! Make sure your sunscreen has UVA as well as UVB protection and make sure to reapply after sweating or getting wet. I recommend getting reef safe sunscreen because it is more environmentally friendly. • Lip balm with UV protection – Don’t forget your lips! Many people lather on the sunscreen but they overlook sun protection for their lips. • Water – If you are going to a more remote beach bring your own water. • Reusable/ insulated water bottle – I like this insulated water bottle because it keeps my water and other drinks cool. • Reading material – A magazine, book or kindle. If you need book suggestions, check out 45 of the best travel books. • Smart Phone – I never go anywhere without my smartphone. • External Battery – If your battery gets depleted fast, you might also want to bring an external battery to recharge your phone, camera or other electronics (this is one of my travel essential items for any trip). A solar charger is perfect for the beach. • ID and cash – I would not bring a lot of cash but a bit of cash for buying snacks and drinks is a good idea. • Flip-flops – Havaianas flip flops are great because they have great traction and don’t slip when walking on wet surfaces. • Bathing suits – Don’t forget to pack at least 1 bathing suit for the beach or pool. • Beach Coverup – Women might want to bring a sarong, kaftan or swimwear cover up for the beach. Men can just wear shorts and a T-shirt. • Extra change of clothes and underwear – If you plan to shower at the beach, bring a change of clothes. • Beach towels – Your hotel might provide towels for the beach but if not don’t forget to bring one or more beach towels. I prefer to use a quick drying travel towel. • Wet Swimsuit Bag – If you plan to change at the beach, a wet swimsuit bag is a must for packing wet bathing suits. • Waterproof Dry Bag – If you are going to be kayaking, boating or fishing, you will need a waterproof dry bag for your belongings. • Beach mat or folding beach chair – Might be useful if going to a beach without chairs. • Beach umbrella – Many beaches have umbrellas and chairs you can use but if you are driving to a more remote beach you might want to pack your own beach umbrella. • Snacks – You might want to pack snacks unless you are going to a beach with food nearby. Granola bars make a great snack. • First aid kit – A basic first aid kit (band aids, tweezer, and pain reliever) is a good idea especially for families with young children. 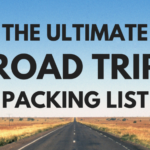 • Toiletries – Tissues, small mirror, hair spray with UV protection, comb or brush, hair ties, antibacterial wipes, hand sanitizer and if you will be showering (shampoo, conditioner and deodorant). • GoPro/Camera – A GoPro HERO7 Black or an affordable underwater camera are great for taking underwater photos. • Waterproof Phone Case – A waterproof smartphone case is handy if you want to bring your phone in the water for selfies. • Entertainment – Beach ball, beach pail and shovels, floaties and other beach toys. • Cooler – If you are driving to the beach or spending all day at the beach you might want to bring a cooler. 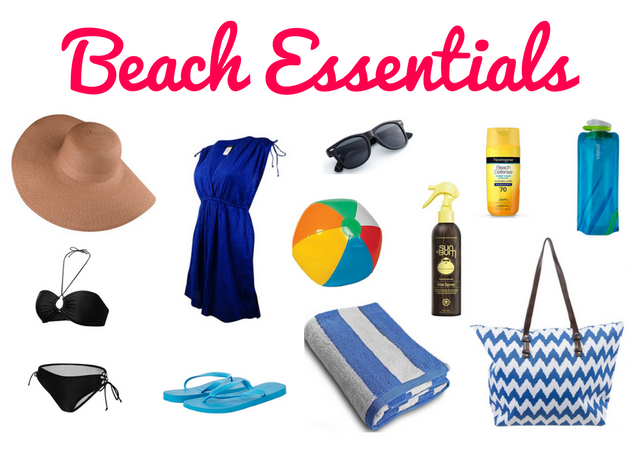 Do you have any beach essentials? For me, one more essential is waterproof (and soundproof) DSLR Bag. Got a good one recently. I would also like to add a few plastic bags where you can put your wet clothes/swimwear inside. Plastic bags are also needed so you can store and pack out your trash. They also make good waterproof liners: put your items in a plastic bag before putting them in your backpack, shoulder bag, etc. That’s a very handy list that should be printed and kept because I visit the beach very frequently. Sunscreen (I use the highest SPF possible) is a must as are sunglasses. I really need to find myself a pretty little beach bag and an a UV-protection lip balm! This post is really helpful. I am usually more of a mountain person. So whenever I plan to visit a beach, I will keep your tips in mind. Yes, sunglasses and sunscreens are so much important! A hat is always a staple during the summer time.